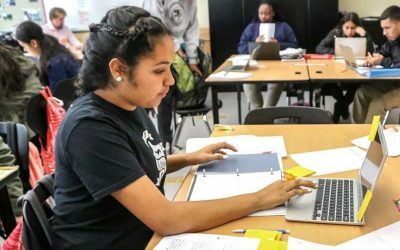 High school implementation of Navigate Math, a course designed to fill skill gaps and help students pass Algebra (and graduate) in a charter school serving a highly diverse student population, a large majority of which qualify for free and reduced lunch. Core strategies include creating heterogeneous teams to help each other, a common launch at the beginning of each day, pre-unit diagnostics, daily and weekly goal-setting, and structured data review. 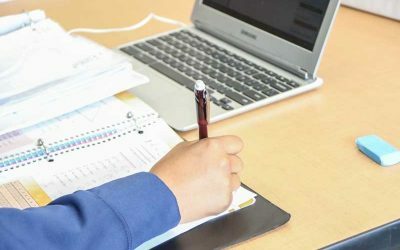 Interesting or unique highlights to check out: self- and peer-grading; and students self-reporting progress data. 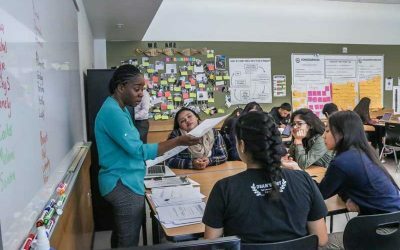 Leadership Public Schools (LPS) is a nonprofit network of public charter high schools located in Richmond, Oakland, and Hayward, California. 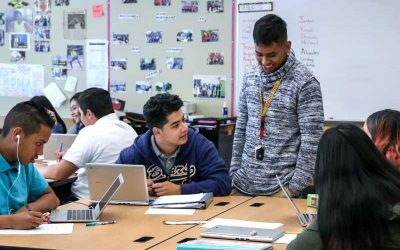 These non-selective schools serve over 1,500 students (2016), whom LPS seeks to provide with a combination of “college-ready” curriculum, supports, and culture that gives them the course-eligibility, habits of success, and knowledge to be successful in higher education. LPS believes that algebra is a “gatekeeper” course for achieving this vision. However, the vast majority of students (80%) entering the LPS high school system are below grade level in mathematics, with a diverse set of needs. LPS teachers needed to find a way to teach up to eight years of math in four years of high school. Navigate Math (formerly known within LPS as “Academic Numeracy”) was developed to meet this need. 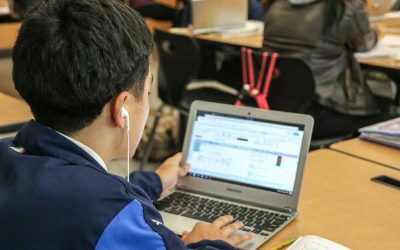 The approach combines direct instruction with self-paced resources, real-time assessments, and features to build growth mindset and peer collaboration. 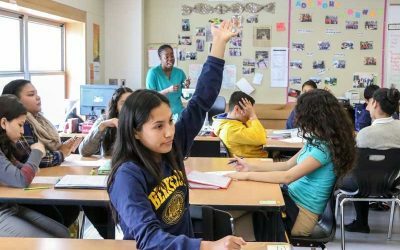 It is a blended program that addresses students’ gaps in pre-algebra skills while also building strong non-cognitive skills to help them succeed as they persevere through high-school level work. 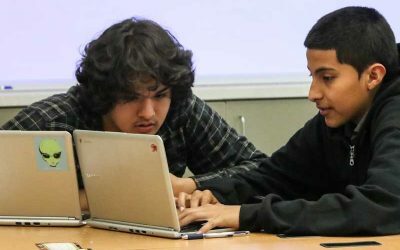 LPS initially built the program using Google Apps (the prototype system’s student and teacher dashboards are available via these links for reference). 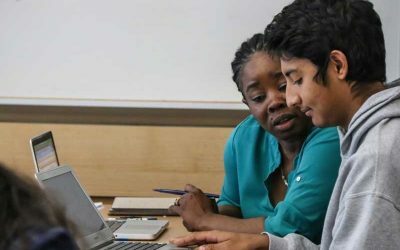 The LPS team later partnered with Gooru to further develop a tool called Learning Navigator to allow other educators to use the blended and personalized approach they developed across any content area (read more about their partnership). As part of this project, they made the math course content, rebranded as Navigate Math, available broadly online in the summer of 2016. 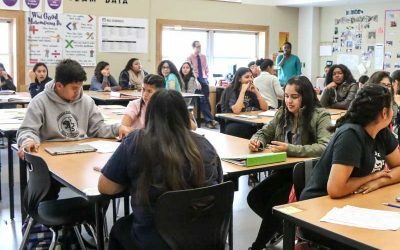 This profile focuses on Navigate Math's implementation at LPS Richmond, which enrolls 540 students in grades 9-12. 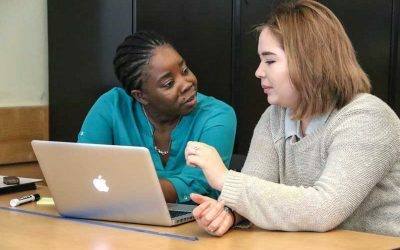 LPS’s Navigate Math course provides students with much-needed academic content and strong non-cognitive skills to help them take ownership of their learning and to succeed in Algebra 1. Through the course, students are given a personalized pathway through standards that span most academic math content prior to algebra. Each student takes an initial assessment to determine which learning objectives they should focus on. With support from teachers, students choose what and how they learn through a goal-setting process that is practiced daily. 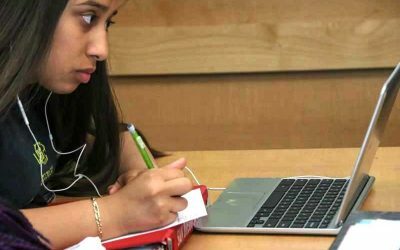 Since the large majority of the content is online, students progress through it at the pace best-suited for them. If a student is ever stuck on a problem, they know to seek help from additional resources, members of their learning teams, or the teacher. Students also check in formally with the teacher at least once a week, and generally participate in small group instruction as well. A Navigate Math teacher at LPS must master a variety of non-traditional skills. The course content spans well over five grade levels, so their content knowledge and pedagogical expertise must be broad. 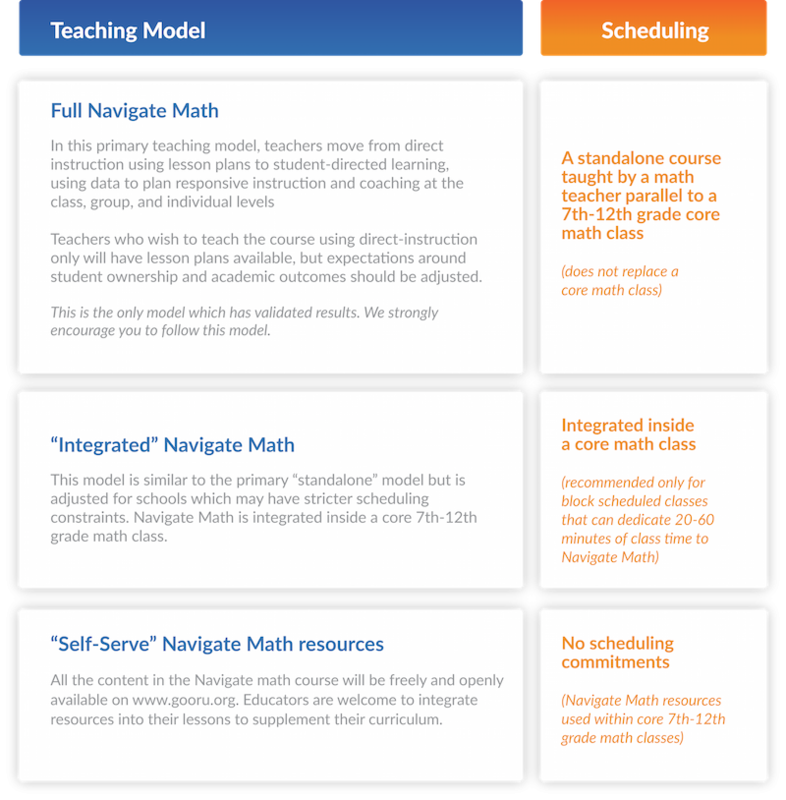 The first two units of Navigate Math are taught in a paced manner, allowing teachers to build confidence in their abilities to personalize, which usually starts in the third unit. 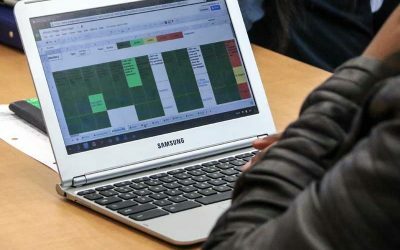 Each student then progresses through their own learning pathway, so teachers must learn to quickly read data and determine how best to serve each student. Through systems and supports, individualized attention and instruction is provided to a class of 30. Teaching students non-cognitive skills that help them become self-directed learners enables teachers to no longer be the sole source of knowledge for the students. A rich bank of resources, as well as a class expectation of helping each other, provides multiple levels of support so teachers can focus their time on the highest yield activities. Navigate Math teachers schedule small group instruction and one-on-one check ins with each student throughout the week. 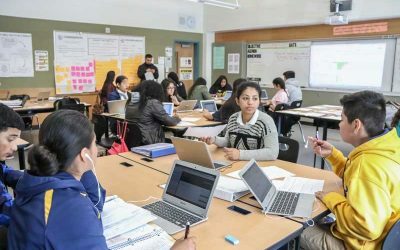 This, combined with effective use of real-time data, allows teachers to identify each students’ highest needs and provide as much support as possible. 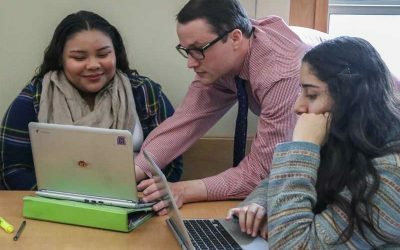 Through use of a high quality blended model, LPS’s Navigate Math teachers are able to provide higher quality instruction to more of their students. Navigate Math is a self-contained class during which students self-pace through learning objectives and content. 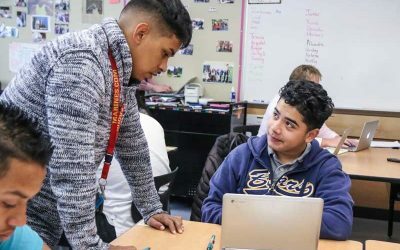 The teacher provides targeted support through small group and one-one-one instruction, and focuses on creating a coherent class culture through routines and celebration. 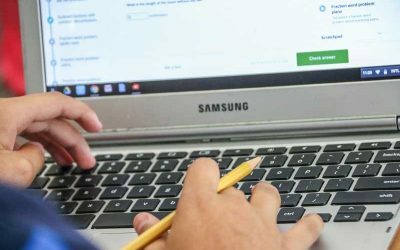 LPS has a 1:1 student to device ratio; students use Chromebooks. Students access content through Gooru's Navigate Math site. The school has internet connectivity of 500 MBPS. Navigate Math is a fully blended program. Students work on their devices alone, with peers, and with their teacher throughout class. Students and teachers use diagnostic, assessment, and goal-completion data throughout every class period. This ongoing data analysis is made more sustainable by giving students a lot of responsibility for reporting and reflecting upon their own data. Students have choice over what to work on, their pace, goals, and what resources to use to learn with. Differentiation is created through grouping strategies, one-on-one support, and the availability of multiple content resources per learning objective. Students move through assignments at their own pace. They complete formative assessments on specific skills to show readiness. Once they demonstrate readiness on target skills, they can request to take unit assessments. Mastery is set at a 70% achievement of any standard. Within the Navigate Math course, there is an expectation that students will complete a certain number of assignments before the end of the year, though these can be completed later in the year as well (e.g. summer school). The school also uses NWEA's MAP to assess growth. 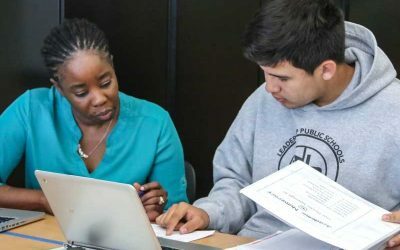 Staffing and Teacher Support: While LPS uses a specialist math teacher to teach the Navigate course, the staffing structure is fairly traditional, with one teacher working with a full classroom of students. 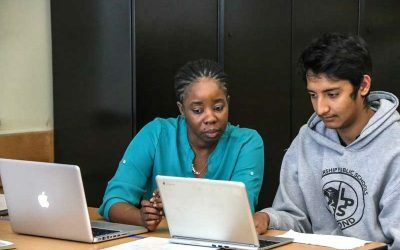 However, given the unique nature of the course, it is helpful for this teacher to be able to work and plan with others - LPS has all Navigate Math teachers across its network collaborate to plan, review data, and problem solve. Devices: This model requires that every student have access to a learning device at all times. Content: This model relies heavily on content freely available through Gooru. 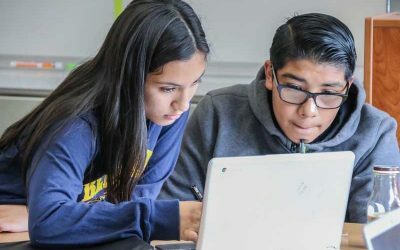 Broadband/Connectivity: Students must have adequate connectivity at all times. Time: LPS recommends this course as a standalone program in complement to other middle and/or high school math courses. However, the team also has advice for how the program could be implemented in more integrated or "self-serve" manners. See the table below for time implications. LPS and Gooru have put together a brief playbook as a resource for schools and districts considering implementing Navigate Math. 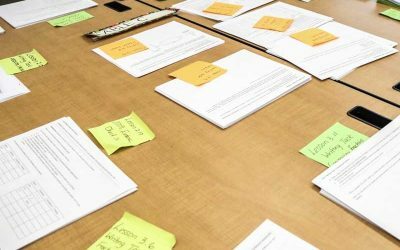 The playbook includes readiness check-lists and advice for implementation. 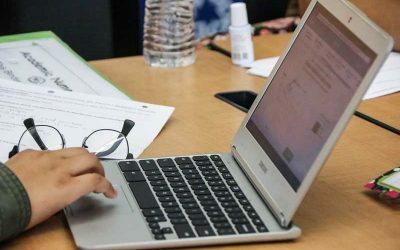 LPS has replicated the Navigate Math program across its campuses, and has now made the program available to others through its partnership with Gooru. All content is free. 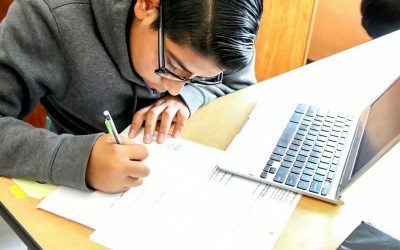 The school reports that students enrolled in its Navigate Math program have grown, on average, almost three years on the NWEA MAP assessment each academic year, which is a rate three times the national average. Teachers with a variety of experiences ranging from brand new to veteran reproduced these results for the last three years.